Leeds has one of the largest student unions in the country. Leeds University Union (LUU) exists to represent, support and entertain you throughout your student years. Leeds University Union has over 250 activities to choose from – you can get involved in anything from football to chess, wine tasting to skydiving, dance to ‘a cappella’. You can even try your hand at Quidditch! 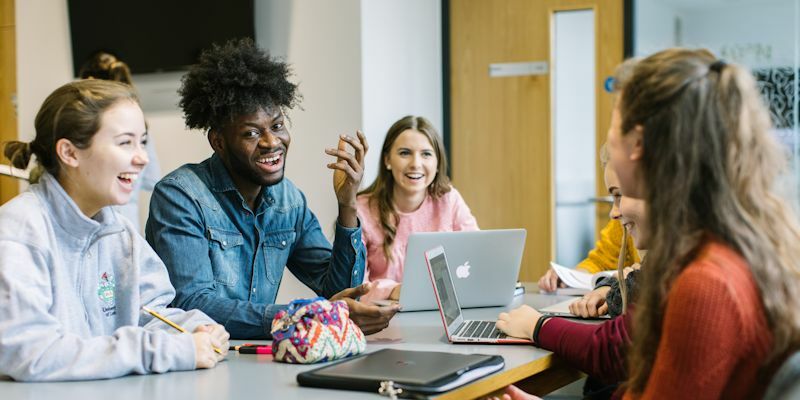 Also, through the Global Community you can connect with students from over 140 different countries and take part in a range of international activities. If you have a passion for Geography you can join GeogSoc during your time at Leeds. The Society is for all current undergraduate and postgraduate students in the School of Geography. The society organises a range of social activities and trips, which encourage students to get to know each other and make new friends. GeogSoc has many teams in the University’s intra-mural league, including an 11 a-side football team, 5 a-side football team and a large netball team. Playing a sport with GeogSoc is ideal for those who want to get involved with sport in Leeds without the commitment/demands of the official University teams.